There are six monarchies in Oceania; that is: self-governing sovereign states in Oceania where supreme power resides with an individual hereditary head, who is recognised as the head of state. Each is a constitutional monarchy, wherein the sovereign inherits his or her office, usually keeps it until death or abdication, and is bound by laws and customs in the exercise of their powers. Five of these independent states share Queen Elizabeth II as their respective head of state, making them part of a global grouping known as the Commonwealth realms; in addition, all monarchies of Oceania are members of the Commonwealth of Nations. The only sovereign monarchy in Oceania that does not share a monarch with another state is Tonga. Australia and New Zealand have dependencies within the region and outside it, although four non-sovereign constituent monarchs are recognized by New Zealand and France. The Australian monarchy goes back a few hundred years. European explorers started encountering the continent of Australia from the early 17th century, and the Kingdom of Great Britain founded and peopled colonial settlement from 1788. Before the European settlement an estimated half-million Australian Aborigines formed hundreds of different social groupings. Eventually the British government granted Australians more and more powers to govern themselves. On 9 July 1900, in one of her last acts before she died on 22 January 1901, Queen Victoria gave the royal assent to the Commonwealth of Australia Act which would give Australia its own federal constitution and government. On 1 January 1901 the Governor General, Lord Hopetoun declared the federation of six Australian states and several territories in Centennial Park, Sydney. 30 years following that the Statute of Westminster granted equality to the realms and finally on 3 March 1986 Australia Act (in the United Kingdom and Australia) gave full independence to Australia in theory, although in practice it was already operating mostly independently. In 1999 Australia held a referendum on whether to become a republic or not; the referendum resulted in the retention of the Australian monarchy. The majority of all voters and all states rejected the proposal. The realm of Australia comprises six federated states and three federal territories (including the Jervis Bay Territory). It also includes a number of external territories administered by the federal government: Ashmore and Cartier Islands, Christmas Island, Cocos (Keeling) Islands, Coral Sea Islands, Heard Island and McDonald Islands, Norfolk Island, and the Australian Antarctic Territory. New Zealand also had a native people before the arrival of European colonisers; the Māori, a Polynesian people, settled Te Ika-a-Māui or Aotearoa (now known in English as the North Island),[N 4] Te Waipounamu or Te Waka a Māui (now known in English as the South Island), and other surrounding islands between AD 800 and 1300. 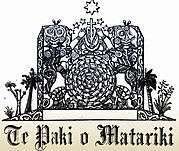 The Treaty of Waitangi, signed on 6 February 1840, was an agreement between Māori chiefs in the North Island and representatives of the then British Crown (since 1947 the Crown of New Zealand); roughly 500 other Māori chiefs throughout New Zealand later signed. It is today highly respected by Māori, as it is seen as a treaty which granted them certain rights. The treaty is seen as one of the founding documents of the Constitution of New Zealand and to this day is part of New Zealand law. The Realm of New Zealand also includes two associated states, Niue and the Cook Islands, and the territories of Tokelau and the Ross Dependency (New Zealand's territorial claim in Antarctica). All share the Queen of New Zealand as head of state. The monarchy of Papua New Guinea (the Papua New Guinean Monarchy) is a system of government in which a hereditary monarch is the head of state. The present monarch of Papua New Guinea is Queen Elizabeth II. The monarch is constitutionally represented by the Governor-General of Papua New Guinea, whose roles and powers are laid out by the Constitution of the Independent State of Papua New Guinea. After being ruled by three external powers since 1884, Papua New Guinea gained its independence from Australia in 1975. It chose to become a kingdom with its own Queen and monarchy. The Head of State of the Solomon Islands is Queen Elizabeth II. 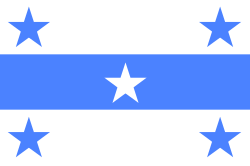 The Solomon Islands share the Sovereign with a number of Commonwealth realms. The Queen's constitutional roles have been almost entirely delegated to the Governor-General of the Solomon Islands. Royal succession is governed by the English Act of Settlement of 1701, which is part of constitutional law. On all matters of the Solomon Island State, the Monarch is advised solely by Solomon Island ministers, not British or otherwise. 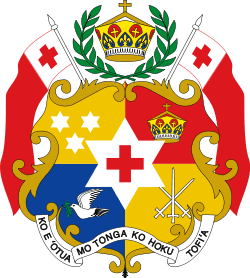 The House of Tupou was formed in 1875 when the monarch's constitutional role was put forth. In July 2008, three days before his coronation, King George Tupou V announced that he would relinquish most of his power and be guided by his Prime Minister's recommendations on most matters. 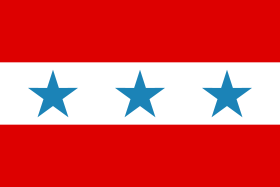 The current monarch is Tupou VI. The first inhabitants of Tuvalu were Polynesian people. The islands came under the UK's sphere of influence in the late 19th century. The Ellice Islands were administered by Britain as part of a protectorate from 1892 to 1916 and as part of the Gilbert and Ellice Islands Colony from 1916 to 1974. In 1974 the Ellice Islanders voted for separate British dependency status as Tuvalu, separating from the Gilbert Islands which became Kiribati upon independence. 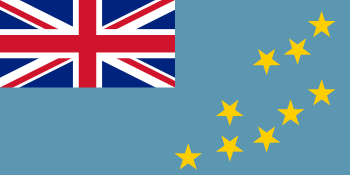 Tuvalu became fully independent within The Commonwealth in 1978. A constitutional referendum held on 30 April 2008 turned out 1,260 to 679 votes in favour of retaining the monarchy. 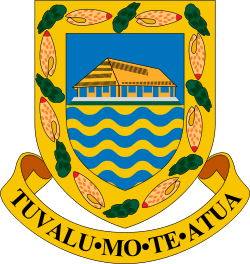 Wallis and Futuna is an overseas collectivity of the French Republic in Polynesia consisting of three main islands (Wallis, Futuna, and the mostly uninhabited Alofi) and a number of tiny islets. The collectivity is made up of three traditional kingdoms: `Uvea, on the island of Wallis, Sigave, on the western part of the island of Futuna, and Alo, on the island of Alofi and on the eastern part of the island of Futuna. The King of Uvea is Kapiliele Faupala and the King of Sigave is Visesio Moeliku. They have reigned since 2008 and 2004, respectively. The throne of Alo is vacant, as the last king, Petelo Vikena, crowned in 2008, abdicated on January 22, 2010, and the Council of Chiefs has yet to choose a new king. The territory was annexed by the French Republic in 1888, and was placed under the authority of another French colony, New Caledonia. The inhabitants of the islands voted in a 1959 referendum to become an overseas collectivity of France, effective in 1961. The collectivity is governed as a parliamentary republic, the citizens elect a Territorial Assembly, the President of which becomes head of government. His cabinet, the Council of the Territory, is made up of the three Kings and three appointed ministers. In addition to this limited parliamentary role the Kings play, the individual kingdoms' customary legal systems have some jurisdiction in areas of civil law. Māori King Movement (the position of Māori monarch is a non-constitutional role with no legal power in New Zealand). ↑ As Queen of Australia; since 16 September 1975 as Queen of Papua New Guinea. ↑ As Queen of the United Kingdom; since 7 July 1978 as Queen of the Solomon Islands. ↑ As Queen of the United Kingdom; since 1 October 1978 as Queen of Tuvalu. ↑ The modern usage of "Aotearoa" as a reference to the whole of New Zealand, universal in the Māori language and increasingly accepted in New Zealand English, did not come about until the 20th century. 1 2 Pierce, Andrew (24 December 2005). "Call me George, suggests Charles". The Times. Retrieved 2006-08-04. ↑ Willis, Ray (1982). Issues in Australian History. Pearson Education Australia. p. 160. ISBN 9780582663275. ↑ Ben Cahoon (2000). "French Polynesia". WorldStatesman.org. Retrieved 2012-02-25. This article is issued from Wikipedia - version of the 1/4/2016. The text is available under the Creative Commons Attribution/Share Alike but additional terms may apply for the media files.